We get to see the sun today and great temps, how nice. 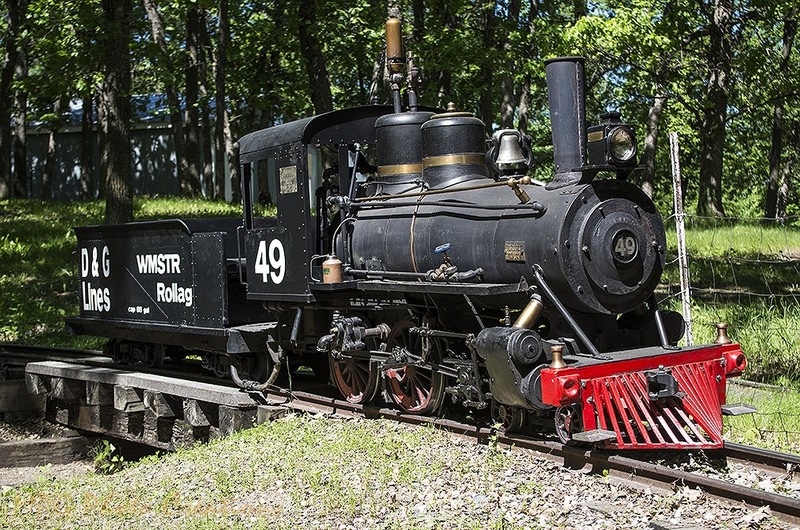 My image today is of the Large Scale steam locomotive I get to help operate up in Rollag Minnesota. This is a coal fired 14 and 3/4 inch (basically 15 inch) scale Wagner built locomotive that used to operate at Niagara Falls back in the late 1940s and 50s. It's quite fun to run and it will be operating soon for Kids Day on Father's Day weekend and then again on Labor Day weekend for the annual Western Minnesota Steam Thresher's Reunion. I captured it sitting on the bridge in the circle of track that it operates on.